View cart “HDF1 Nano GX” has been added to your cart. And most importantly: The image quality is significantly worse over analog outputs.The HDfury3 overcomes this limitation. HDfury3 RGB Cable: For displays with an RGB (VGA) inputs. Basic Kit gives you a choice of one of three RGB cables:BLUE (VGA to VGA male): For displays with a standard female D-sub VGA style RGB connector. This is the most popular RGB input connector. 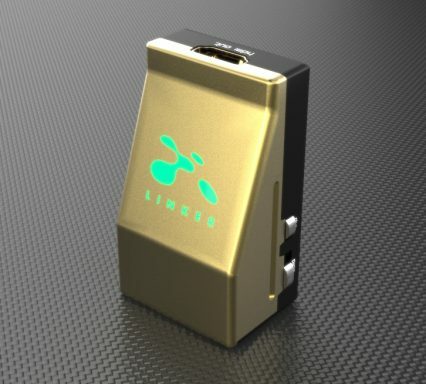 GREEN (VGA to 5-BNC male): For displays with 5-BNC input RGB connectors. Used mostly by professional displays. RED (VGA to Barco Port 3): For Barco CRT projectors only. More information The Advanced Kit includes all three. If your display only has component inputs you will not use the RGB Cable so it doesn’t matter which you order. If your display has 5 RCA style connectors order the GREEN cable and use five BNC to RCA adapters (sold separately). An HDfury3 power supply is required and included with all our kits. The Advanced Kit also includes a power supply for GammaX. 720p TEST - Setup a PC computer graphic card to 1280×720 resolution (50 or 60hz depending on your location eg: US : 60hz, Europe: 50hz) through its VGA output in order to see if it displays correctly on your screen throught the VGA input (SUB-D HD15/5xBNC/DB9) If you can see the output it means that you will be able to display 720p from any HDMI or DVI(HDCP) source on your screen using the HDfury3 RGBHV output. 1080p TEST - Setup a PC computer graphic card to 1920×1080 resolution through its VGA output in order to see if it displayed correctly on your screen through its VGA input (SUB-D HD15/5xBNC/DB9) If you can see the output it means that you will be able to display 1080p from any HDMI or DVI(HDCP) source on your screen using the HDfury3 RGBHV output. It has been reported that even though some PC monitors allow higher resolutions to be displayed such as 1920×1200 it does not automatically mean that the display supports a 1920×1080 resolution. As an example both Dell 2405FPW and Sony P234B are listed as 1920×1200 native resolution. Unfortunately the Dell one does not support a 1920×1080 resolution correctly while the Sony one will display it perfectly. 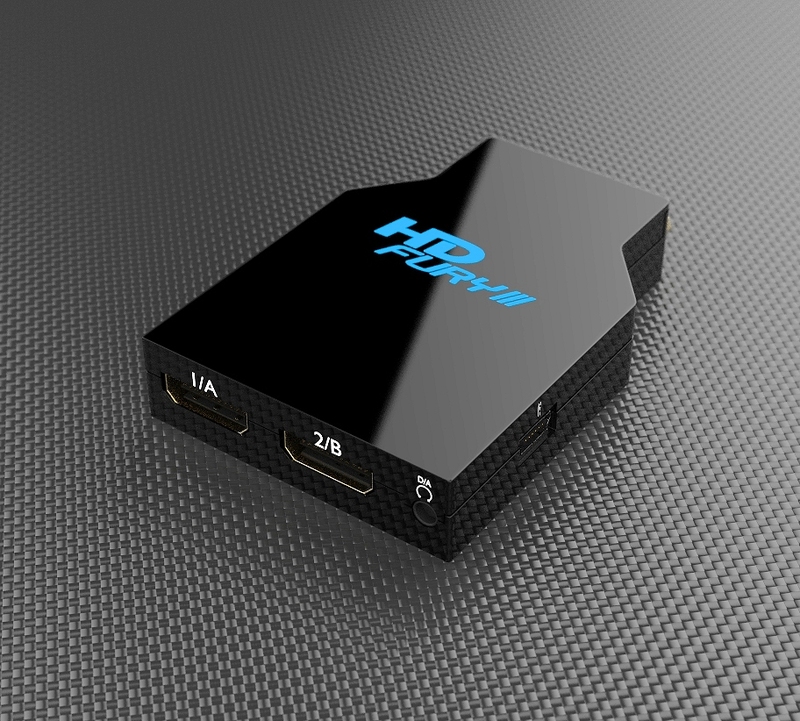 So once again, performing the above test will allow to find out if HDMI 720p or 1080p could be displayed on your screen with HDfury3 RGBHV output. We believe that the EDID of any 1920×1200 monitor could be updated in order to support 1920×1080 resolution. More on that later. Plasma and LCD HDTVs are oftenly listed as “Supporting 720p/1080i” or “720p/1080i compatible”. This does not mean that these displays are TECHNICALLY ABLE to handle 1280×720 or 1920×1080 resolution ! In fact most of them are 1024×768 max resolution Basically those displays will receive a higher resolution signal through their components or VGA input and DOWNSCALE it to 1024×768 (the best supported resolution) The well designed (often more expensive) displays will DOWNSCALE 1280×720 or 1920×1080 through both VGA and/or component input. (Ex: Panasonic TH-42PH9WK) However it has been reported that some do not DOWNSCALE signals sent through the VGA input but only through component ! Therefore it is best to use the above test to make sure that the HDfury3 RGBHV output will work with your display device ! Is HDfury3 compatible with my Source ? 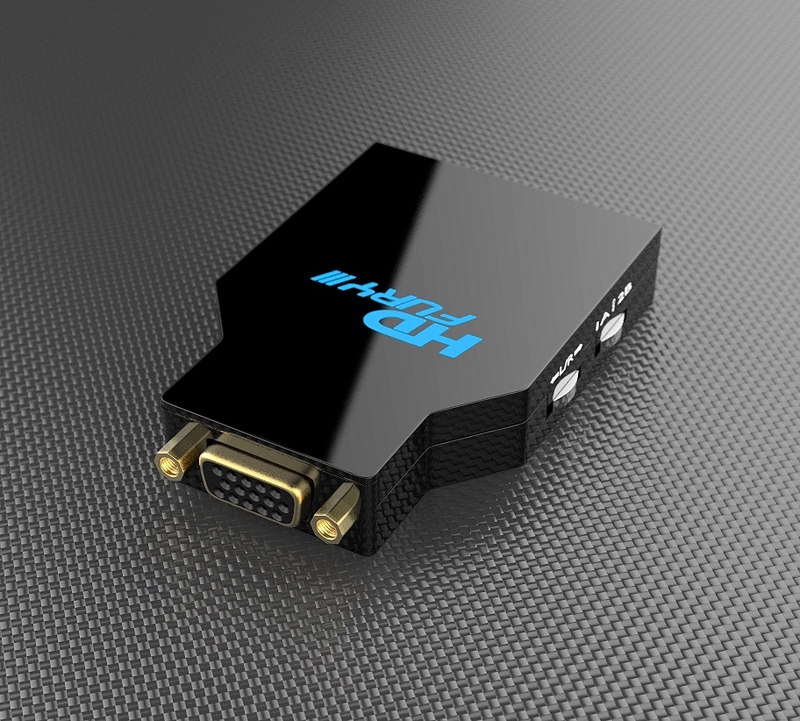 HDfury3 is FULLY compatible with all recent HDMI (and/or DVI-D hdcp) source devices such as the PS3, X360 Elite, HD-DVD players, Blu-Ray players, HDMI graphics card and the latest set-top-boxes (STB) and DVD players with HDMI outputs. We recommend that a power supply be used for all sources. Straight HDMI cable: If you are experiencing problems getting a HDMI signal displayed correctly from a Toshiba HD-DVD player and you call Toshiba, the first thing they will tell you is to “Please remove any HDMI to DVI adapters in your signal path!” You should ALWAYS use the supplied breakout (extender) cable that shipped with your HDfury3: No warranty on the quality can be given when using another breakout cable, especially cables that are longer. When you connect the HDfury3 in RGBHV output mode for the first time you may see the screen shifted to the left > This is normal. Simply adjust your display’s settings to shift the image back. This needs to only be done once. On some European CRT displays you will not be able to shift back far enough because of the US/Euro HD ‘porch’ differences. If this affects you, switch your source to 60Hz to solve the problem. You can setup a new memory and it won’t disturb any of your original settings. Refer to the usermanual for instructions: http://www.hdfury.com/docs/HDfury3manual.pdf For example, you can connect HDfury3 to your PC VGA screen, and you will see that the first time the picture is shifted to the left. You can then adjust this setting on your PC display, and it will be perfect. If you connect your computer back to the PC VGA screen, the image will centered as before! Your screen / display has memory functions to store your settings depending on the source. There is no other settings to adjust. If the HDfury3 blue LED is OFF during the picture blanking, the problem is with the HDfury3 or the power supply. We will replace them for you. If the HDfury3 blue LED is ON during the picture blanking, the problem is with the the component cable, RGB cable or the display. Lift the little panel found on the back of the HDfury3 and make sure that DIP switch 6 is set to ON. DIP switch 6 is used to turn the blue LED on/off, make sure it is set to ON if you are experiencing problems with your HDfury3. The blue LED will never come on if you have DIP switch 6 set to off. 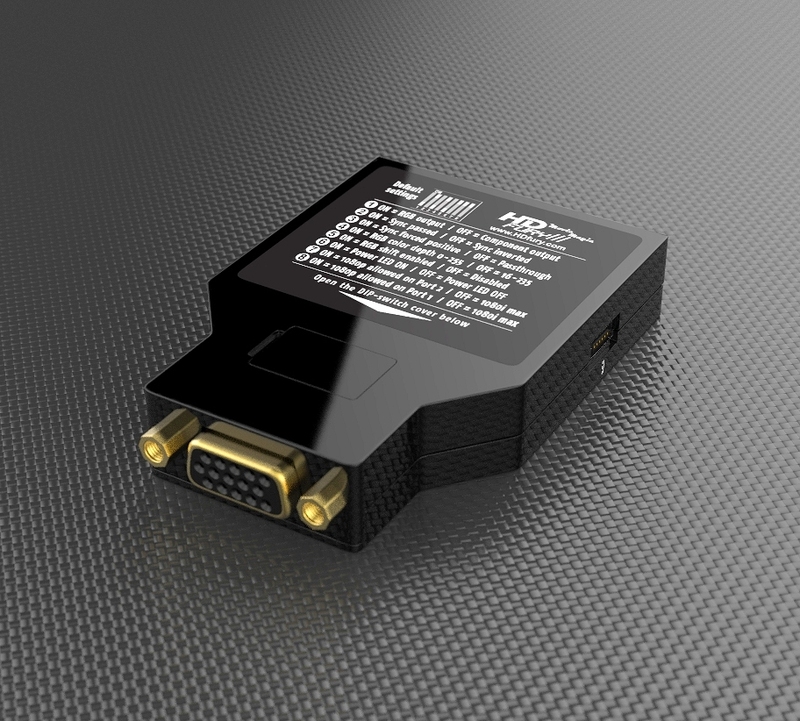 The HDFury3 has both analog and digital (TOSLINK) audio output in one connector located on the bottom of the unit labelled “D/A” along with a headphone symbol. 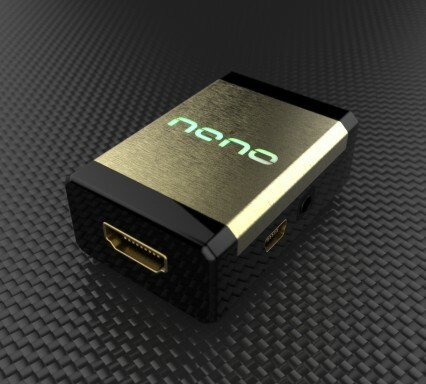 It’s a 2-in-1 connector meaning that you can plug in either a 3.5mm stereo analog jack or a digital mini-TOLINK (3.5mm mini-jack) cable and get stereo analog sound or 5.1 Dolby/DTS digital sound out of the HDfury3. See further below for pictures of both types of connectors/cables. 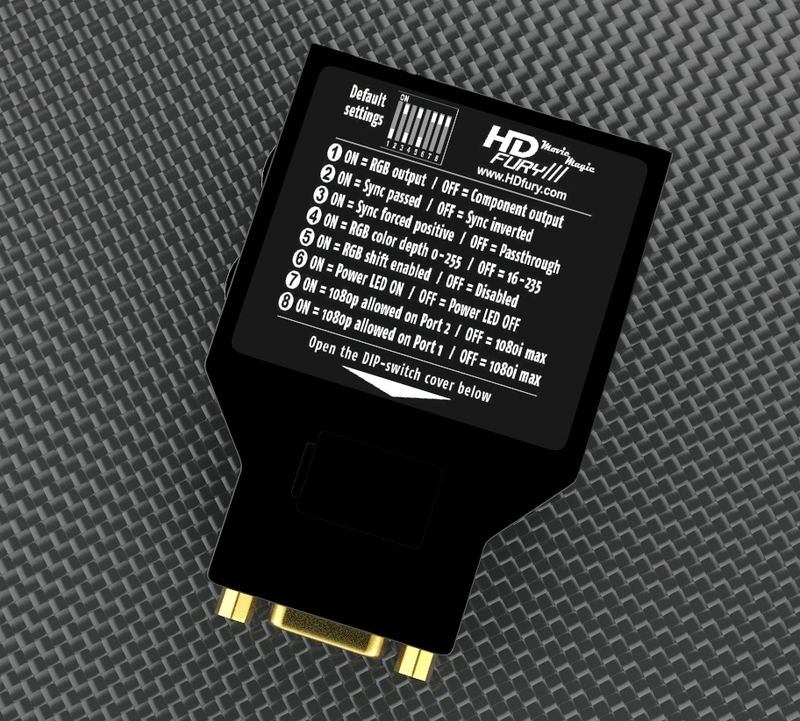 The HDfury3 supports both component (Y/Pb/Pr or YUV) and RGBHV (sometimes called VGA) signal types on the output. They are not the same at all and cannot be used interchangeably (more information). Some displays have component inputs, some displays have RGB, some have both. The HDfury3 lets you choose between the two to best match your display’s requirements. (1) Make sure to use the included HDfury3 power supply at all times. It is required at all times. (2) Many TVs do not support 1080p and must be fed a 1080i or 720p signal instead. Make sure to set your source to 1080i or 720p unless your display’s manual specifically states that it supports 1080p. (3) Make sure to turn off 24fps (24p) support in the source (see last question). (1) Make sure your display supports the resolution the source is feeding it. If your TV does not support 1080p, set your sources to 1080i or 720p. 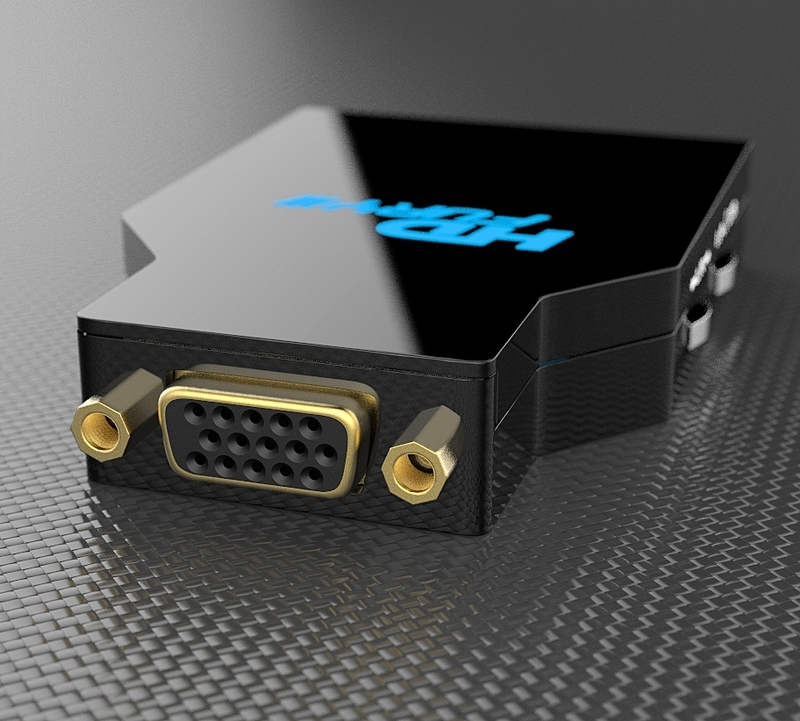 Some sources will automatically use the highest resolution available to them based on what they see connected, and since they see the HDfury3 which supports 1080p FULL HD, the source will ‘think’ you have a 1080p capable TV and is most likely feeding the HDfury3 a 1080p signal. You need to lower this to 1080i or 720p in the source device. (2) Make sure that the 24fps output option in the source device is set to OFF or DISABLED and not AUTOMATIC unless your TV specifically supports 24fps. Most do not, especially older TVs that do not have HDMI inputs. (3) Make sure you’re using the HDfury3 power supply at all times. The problem is that you likely connected the HDfury3 to the HDMI port while the PS3 was still setup to output by another port (component or composite). The result is no picture over HDMI. The PS3 will output low resolution on every output when you reset the display settings this way: PS3 in stand by mode, hold on power for 5 sec until you heard 3 beeps. The PS3 restarts and you can than access low resolution through both HDMI and/or other ports and perform the display test to choose your preferred resolution. For more information see our HDfury/PS3 Setup Guide. For those people who want all the details, the two sync DIP switches control RGB image sync as follows: DIP switch 2: ON=Sync Passed, OFF=Sync inverted (operates after DIP3 selection, so it is possible to invert a forced sync too) DIP switch 3: ON=Force sync positive (high), OFF=Sync not forced, simply passed. Two reasons: (1) Some source devices (such some Samsung Blu-ray players) auto-detect the maximum resolution that the display can support every time the player is turned on and reset their resolution to that maximum. The source “sees” the 1080p capable HDfury3 and therefore sets its resolution to 1080p, requiring you to manually change the resolution every time you want to use that source if your TV doesn’t support 1080p. Very annoying! (2) Some displays may run hot or even malfunction if feed a resolution that is too high such as 1080p. If you know your display doesn’t like 1080p, turning it off in the HDfury3 adds some piece of mind and assurance that you’ll never accidentically feed it too high a resolution. Lift the little panel found on the back of the HDfury3 and set DIP switches 7 and 8 as follows: - To use EDID 0 (1080p, 24p refresh): Set DIP 7 and 8 to ON. - To use EDID 1 (1080i max, no 24p refresh): Set DIP 7 and 8 to OFF. Do I need to use the HDfury3 power supply? Yes. Due to the advanced features, the HDfury3 draws more power than previous HDfury models. The HDfury3 power supply must be used at all times. All of the HDfury.com HDfury3 kits come with a power supply. An extra power supply may also be ordered on the HDfury3 order page. If you want to source your own, the power supply must adhere to these requirements: - Provide REGULATED (+/- 5%) 5VDC power with 1.0A min DC current - Deliver the power through a small 0.65mm diameter center pin / 2.6mm outer diameter DC plug (like the one often used in cellular phone AC adaptor) - Provide the correct polarity with ‘plus’ on the OUTER part of the plug and ‘minus’ (ground) on the small center pin of the DC jack. Trying to use an AC/DC adaptor that doesn’t adhere to these three requirements may destroy the HDFury3. Do not use the power supply from the HDfury1, HDfury2, or GammaX with the HDfury3. Simultaneous output in Analog and Digital NO NO YES ! 3-pin mini-DIN Sync Out (for optional emitter) NO NO YES ! Simulview Support NO NO YES ! USB Firmware Upgrade NO YES ! YES ! EDID upgradeable YES YES YES ! Screen position adjustable via firmware YES YES YES !